Image Comics is proud to announce the February release of SAMURAI’S BLOOD VOL. 1 TP, written by Owen Wiseman, illustrated by Nam Kim (Warcraft: Legends) and Matthew Dalton (Starcraft: Frontline), edited by Dave Elliott and produced by Benaroya Publishing. 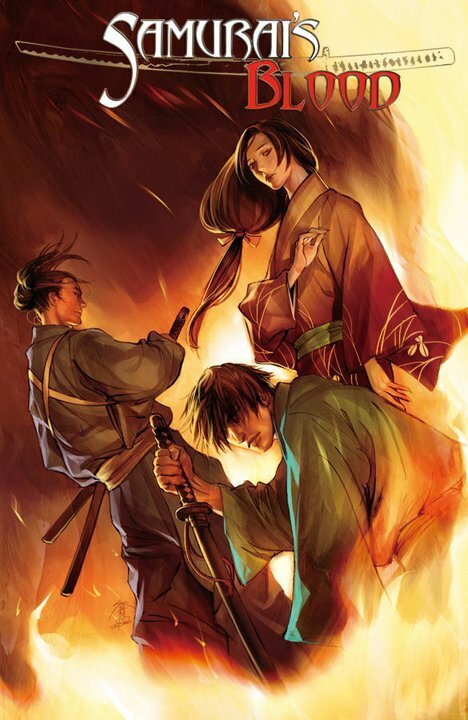 SAMURAI’S BLOOD VOL. 1 TP collects issues #1-6 of the sold out miniseries and will include extras such as a gallery page of covers by fan favorite artist Jo Chen (Buffy the Vampire Slayer: Season 9) and additional prose Samurai’s Blood stories from Owen Wiseman. This entry was posted on Friday, December 16th, 2011 at 9:04 pm	and is filed under Benaroya Publishing, Samurai's Blood. You can follow any responses to this entry through the RSS 2.0 feed. Both comments and pings are currently closed.